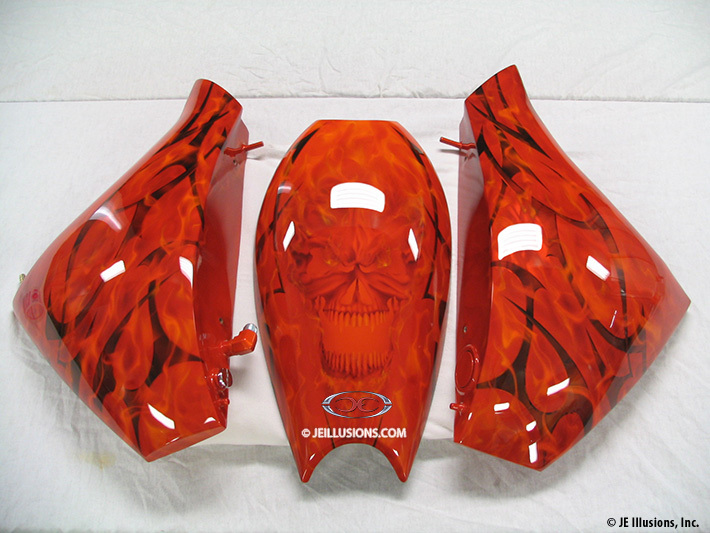 Our custom signature airbrushed blazing real flames wrapping around a bevel-edged blade design make up this full body paint design. The tank has an airbrushed sinister skull complete with sharp teeth and flames emerging from his head. 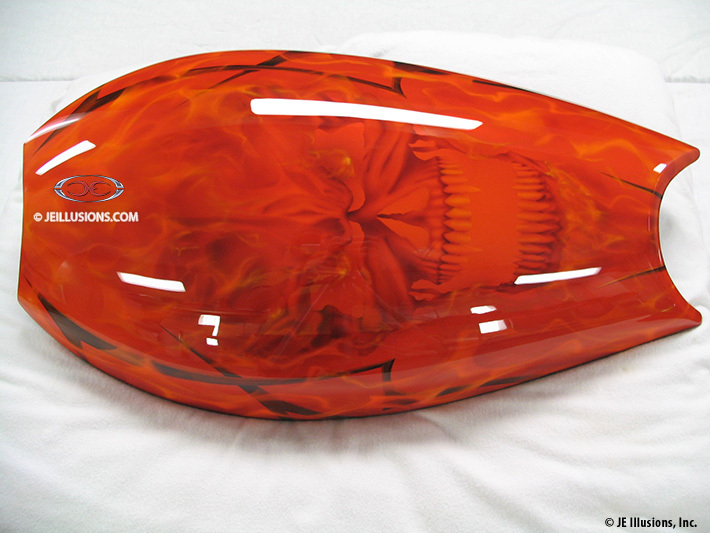 All this was done over an ultra pearl orange base blending to bright yellow and star flake metallic as well as kandy. 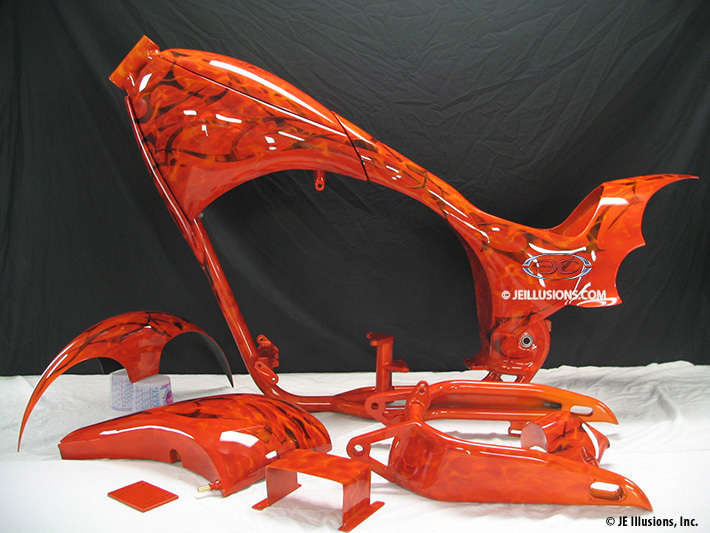 This is one of those must see in person type of designs due to how the sun activates and brings our paint to life. 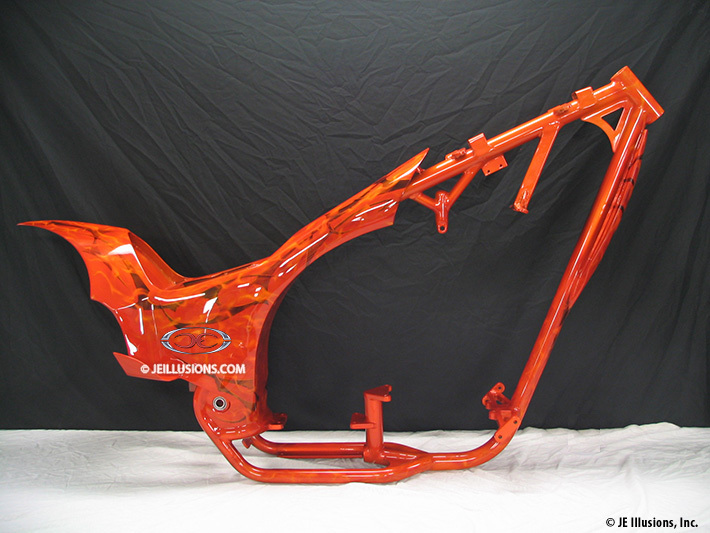 You just may see this chopper on TV and at the major shows, this one is going to be an Australian build off winner!